This special three-day tour starts off with a morning collection from a central London location after which we would drive down to Dover, crossing the English Channel either by Eurotunnel or Ferry and arriving on the French coast shortly afterwards. Our first day we see you drive an hour or so to the Belgian city of Ypres. Here we would drop off our bags into a quality hotel and visit the museum in the incredible Cloth Hall in the central square. 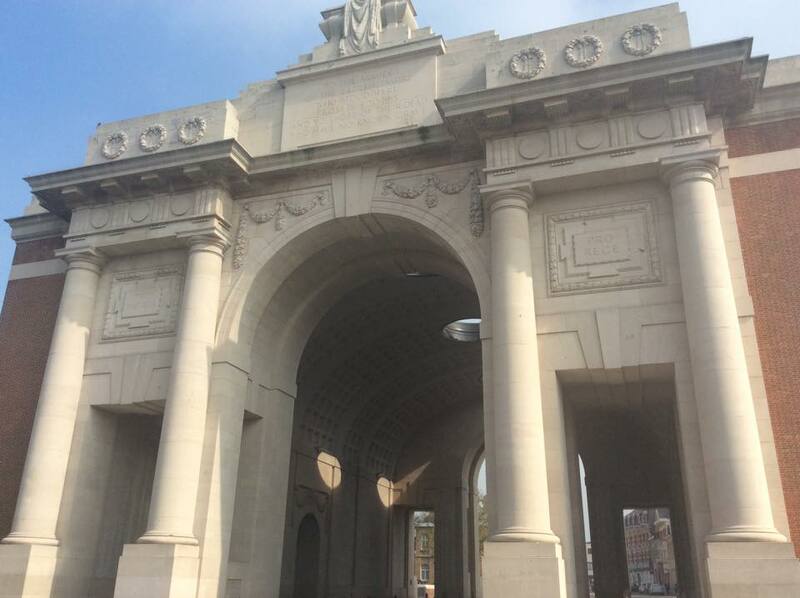 We would then drive to visit some of the memorable sights in the vicinity of the Ypres. The Hill 60 bunker followed by a rare intact German bunker only accessible by private car. Later we would visit the impressive Tyne Cot cemetery before driving the short distance to the small and peaceful village of Paschendaele. Finally, we would return to our hotel for dinner after which we’d walk to the Menin Gate to observe the Last Post ceremony at 8 pm. The rest of the evening can be spent at leisure perhaps sampling chocolate in the many boutique shops or having a drink of some excellent Belgian beer. Day 2 would see us visit another cemetery as we leave Ypres and head south-west into France. 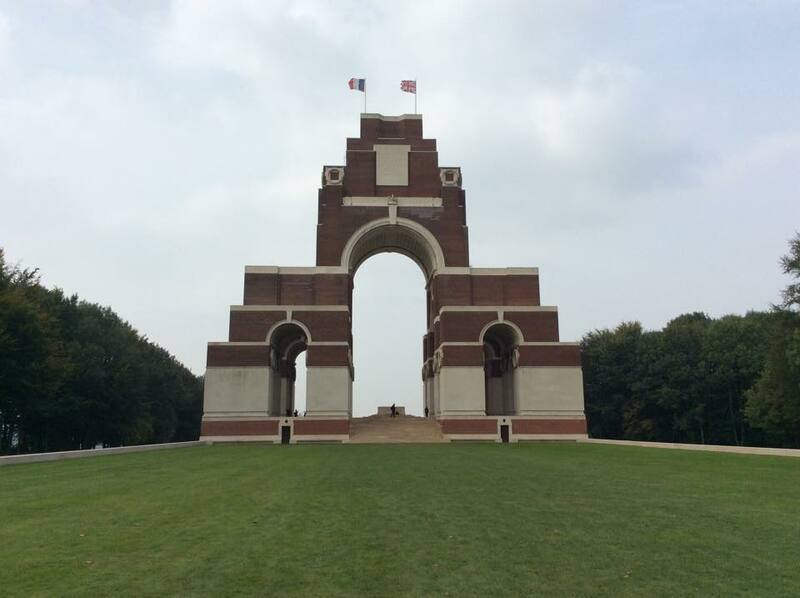 On arrival in Picardy, we would visit the monumental Thiepval memorial and museum and perhaps one or two of the cemeteries or memorials such as the Ulster Tower. After lunch at a local restaurant, we would visit the tiny hamlet of Beaumont Hamel to see the Newfoundland Memorial and see some of the trenches and craters that still dot the landscape. Finally on our way to our hotel we would visit the massive Lochnagar Crater, which was detonated at 7.28am on July 1st to signal the start of the Battle of The Somme. Day 3 sees us visit Deville Wood to see the incredible South African museum here and walk amongst the lush woodlands and visit the sole surviving tree that made it through the battle. Across the road is another beautiful Commonwealth cemetery. 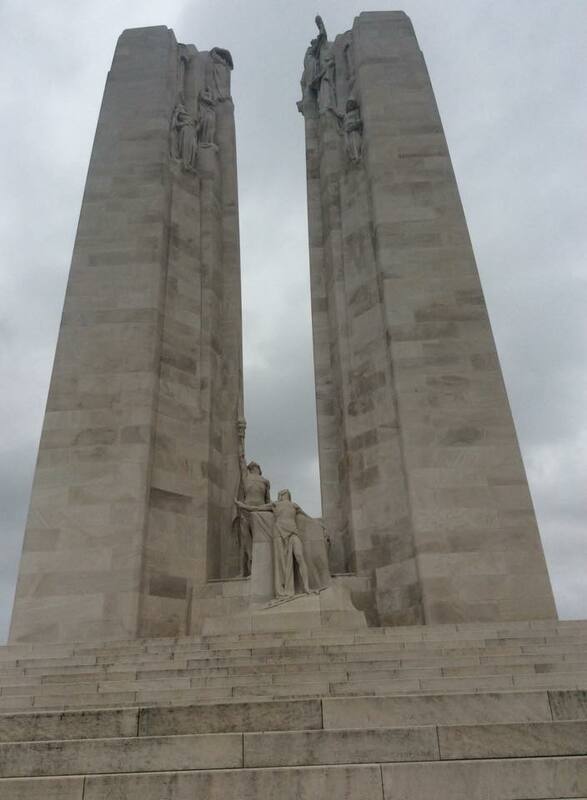 Next up we would travel to the famous Vimy Ridge to visit the massive memorial to the Canadians who fell taking this key location. Finally, we would drive back towards Calais, crossing either above or below the Channel and then driving back to London. This private tour is all inclusive and includes breakfasts, lunches and main dinners as well as tea/coffee and soft drinks and any entrance fees. All accommodation is at quality hotels, and you will be accompanied at all times by your driver and guide. 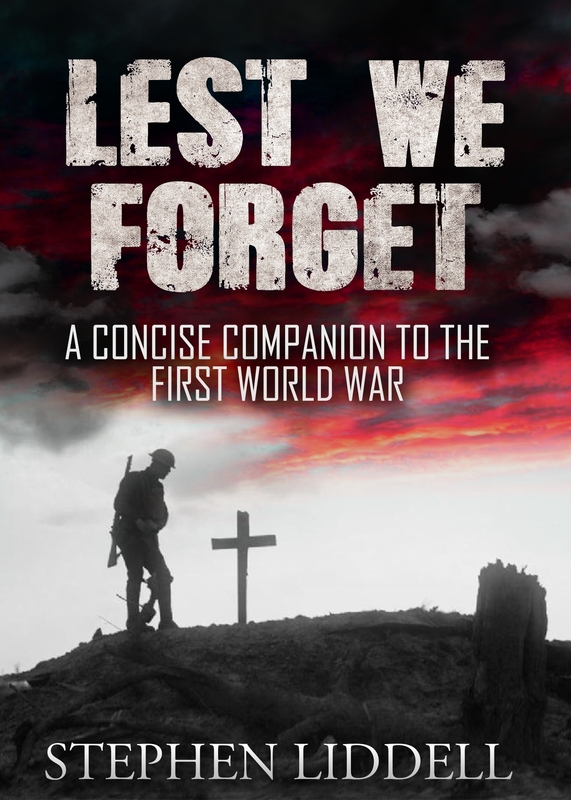 Your driver and guide, Stephen Liddell, has been visiting the area for 15 years and has written an acclaimed WW1 history book “Lest We Forget: A Concise Companion to WW1” as well as having a Masters Degree in History from London University. This tour like all our tours is totally bespoke and ran at your own pace. We can also visit any grave of any relative. My easy to understand but comprehensive history of WW1 in Kindle and Paperback.